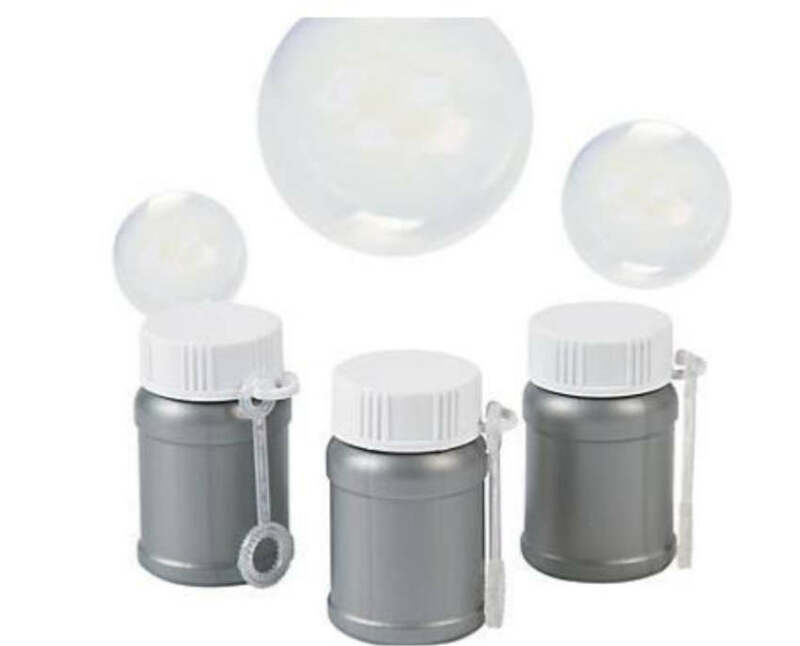 Bubbles - 1 oz. Mini METALLIC SILVER, with custom decal on the cap. For just a little more, enhance your image with Four -Color Process VINYL custom die-cut decal on the side of bottle. Stock bottles are subject to change. Price includes 1 color decal applied to cap with stock design bottle. Add run charge .40v for full color wrap. Imprinting Method: .875 inch dia. decal on cap. Imprinting Area - Cap: .875 inch dia.